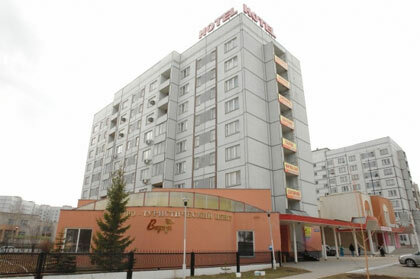 Hotel "Visit" is a multifunctional hotel complex of the level 3*, consisting of two buildings – hotel and entertainment center. The hotel offers comfortable single, double and triple rooms, suites, apartments (number of rooms – 72). Elegant interior and guests services in accordance to the best traditions of hospitality create a pleasant atmosphere for relaxing and successful business negotiations. conference hall – here all the necessary conditions for holding conferences, business meetings and negotiations were created. single apartment – 5050 rubles. single suite – 3700 rubles. single junior suite – 2950 rubles.